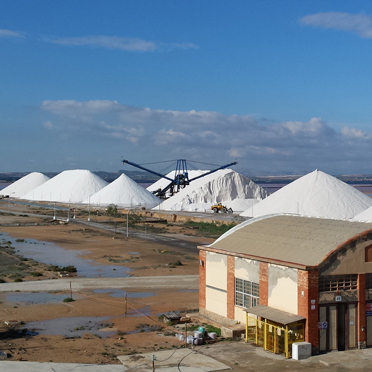 To the south of Alicante, by a production process quite extraordinary from a lagoon close to the town, for more than a century the salt of Torrevieja has been appreciated by different markets both locally and internationally. Harvested from under-water, the salt is washed, centrifuged and then stocked for several months. The quality of this Spanish salt is renowned. 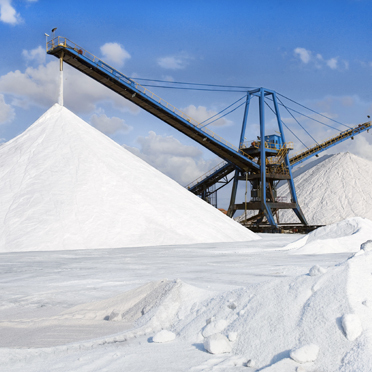 Taken directly from the stockpile, the salt is carried straight to our private port facilities via conveyor belt before being loaded aboard vessels which can attain 40.000 tonnes. Private facilities able to accommodate and load ships up to 40 000 tonnes in the best conditions. Want to know more about Marine Salt ?